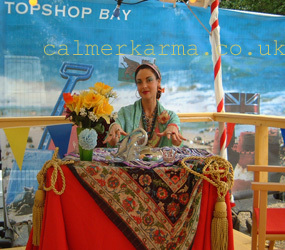 Our talented fortune telling team are equally happy offering mix and mingle or seated readings and will quickly draw queues of hopeful clients! 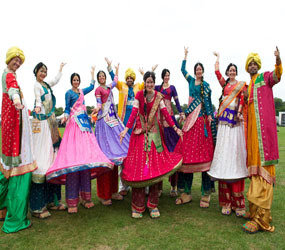 All of our readers hold public liability insurance and are ready costumed in Bling Bling Bollywood style in sparkly bollywood costumes or Saris! 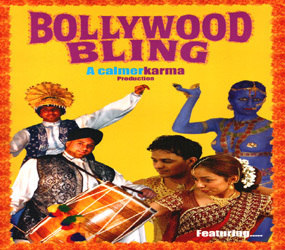 At Calmer Karma our team of Indian and Bollywood themed readers and fortune tellers are true professionals; experienced at making the client's reading an insightful, fun and entertaining experience!- you can rely on the professionalism and people skills of our consultants.